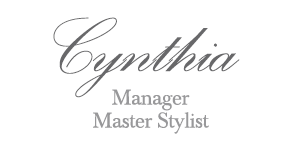 Cynthia has been an creative stylist for close to ten years and remains enthusiastic and always ready for more of the beauty industry. With her love of hair design she thrives on helping clients achieve the best results possible, not only with a change of style but also a change of attitude. She has worked with many types of hair textures and is genuinely interested with the concerns of her client. It is key to educate you as the client of the endless possibilities that your hair is capable of. 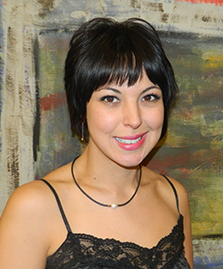 She has worked with several lines of hair color such as, Aveda, Schwarzkopf, Goldwell, Kamon, Matrix, and Redken. "There is no definition of beauty, but when you can see someone's spirit coming through, something unexplainable, that's beautiful to me."